Get the Celestron CPC Deluxe 800 EdgeHD telescope in an affordable set with high-grade accessories now and experience lunar and planetary observation like never before! The scope of supply also includes an eyepiece with a focal length of 40 millimeters, which is very practical for gaining a general overview. It is, however, unsuitable for high magnification observation that is desired when observing the Moon and the planets. Therefore, the two Morpheus eyepieces make an excellent addition. The neutral density filter dims the dazzling moonlight and increases the contrast during lunar observations. The entire set can be yours for only 3,709 €. Save 397 € compared to the manufacturer’s recommended retail price! Benefit from this unrivalled value for money offer now and observe not only the moon but also the Jupiter and Saturn oppositions this summer! 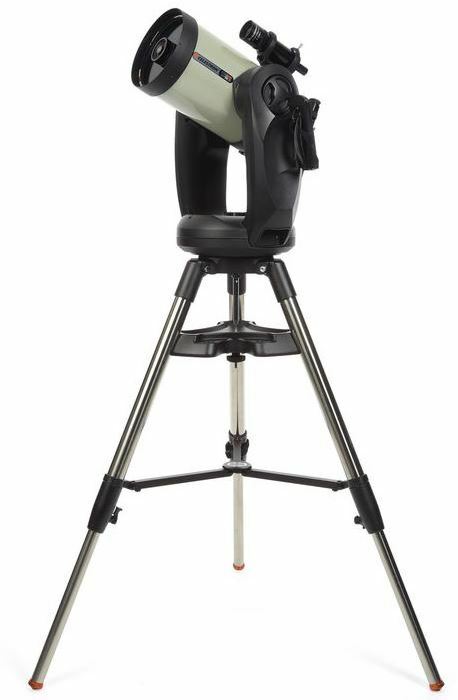 For years this telescope has been a favourite among the beloved Celestron CPC Deluxe Family. 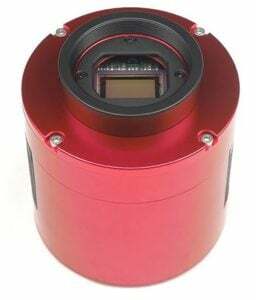 The series offers compact Schmidt-Cassegrain-lenses with highly stable and easy to transport fork mounts. Thanks to the built-in GPS and the advanced computer control, you are good to go in no time – even without prior knowledge. Reach for the stars with the GoTo hand control box! Now you have all the fascinating celestial objects in the palm of your hand. In the deluxe version of this series, Celestron merges telescopes with corrected EdgeHD lenses together with the CPC mount. So you can enjoy crystal clear images right until the edge of the field of view! Our offer for the CPC Deluxe 800 EdgeHD set is valid until the end of September 2019! A photograph cannot beat a real look into the night sky. With the Newton Telescope 76/700 AZ-1, you can experience the starry night sky live and with your own eyes! This little beginner telescope can offer kids and adults their first contact with the Moon and planets. Save almost 30%! Get your hands on the Omegon 76/700 AZ-1 Telescope now for only 69.90 Euros instead of 99 Euros! Take a stroll across the Moon with this telescope. It feels as if you are floating in a spaceship over the surface of the Moon. How would it be to have a glance a Tycho? A crate with a diameter of 90 km and a crater wall of almost 5,000 meters high. Once, the scraps of a massive collision flew about the area, and spread the lunar stone far around the Moonscape. Experience the lunar Mare (seas) with this telescope, as well as thousands of craters or the lunar Alps. Throughout the year, you will be able to experience something new on the Moon again and again. Always excited! A trip through the Universe for the whole family. This telescope is waiting for you to take it out for its first look at the Moon: Order the Telescope now or go for the more comprehensive Beginner Set with Star Chart, Book and Lunar Filter. The offer is valid until 31.05.2019. Spring offers: many binoculars and night vision devices specially reduced! Spring is already in the starting blocks. We are ringing in the season with discounts – but only until 31 May 2019! Both people and animals alike bask exuberantly in the first rays of spring sunshine. The birds are starting to sing again and plants are beginning to show new growth. Don’t miss one precious second of all this and grab yourself the right binoculars or night vision equipment in this sale! 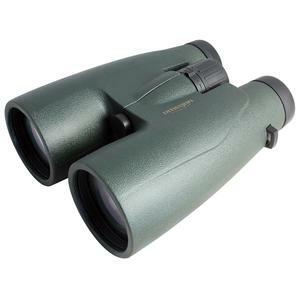 Minox BF 8×42 binoculars – reduced from 219€ to only 149€! Bushnell Equinox Z 3×30 digital night vision device – reduced from 319€ to just 189€! Pentax ZD 10×43 ED binoculars – reduced from 1,099€ to a mere 779.00€! But prices have also been slashed on many other products for a limited time – including spotting scopes, microscopes and much more. We wish you lots of fun bargain hunting! Spring is coming, and what could be better than a spot of nature-watching? Birds fluttering between branches, the sparkling water of a stream or stargazing – Omegon binoculars let you enjoy razor-sharp views of nature. You can now save 30% on almost all Omegon binoculars. You can also save 20% on the Nightstar, Brightsky and Argus series. Grab the opportunity – make use of this sale to get yourself a new set of binoculars! OMEGON Hunter 8×56 – a powerful instrument for nature-watching, hunting or astronomy. The 56mm aperture lenses collect 64 times more light than the naked eye to provide an extremely bright image, as only binoculars of this size can. 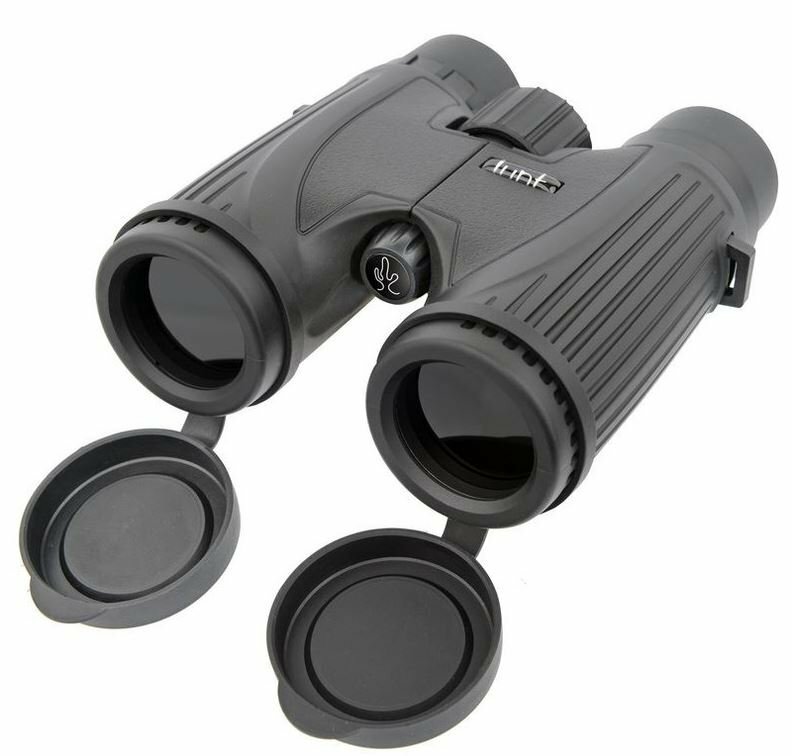 These binoculars are perfect for use at twilight or even in conditions of unfavourable lighting. Omegon Brightsky binoculars are powerful instruments for observing the night sky and are great to take along on any outdoor adventure. Their robust workmanship means they simply shrug off the wind and weather. But their optics also have a lot to offer – a stunning image. 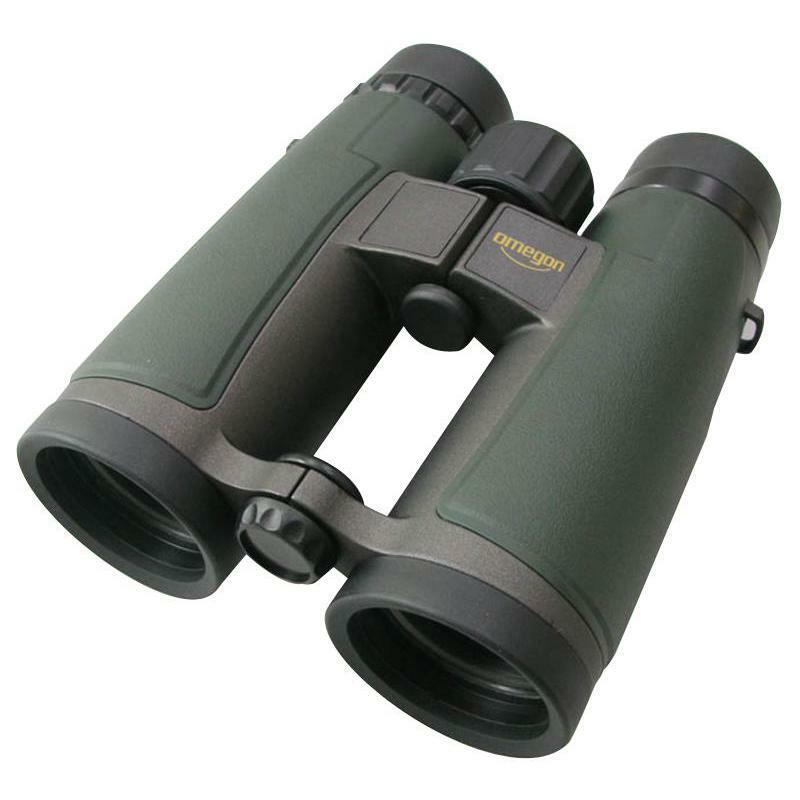 Omegon Nature HD instruments are powerful binoculars with HD optics. The use of special ED glass and phase-coating ensures an impressive visual experience. Their magnesium housing and nitrogen filling make these binoculars that you will want to have with you at all times. Perfectly balanced, these are binoculars for nature- and birdwatchers, hunters and hikers. 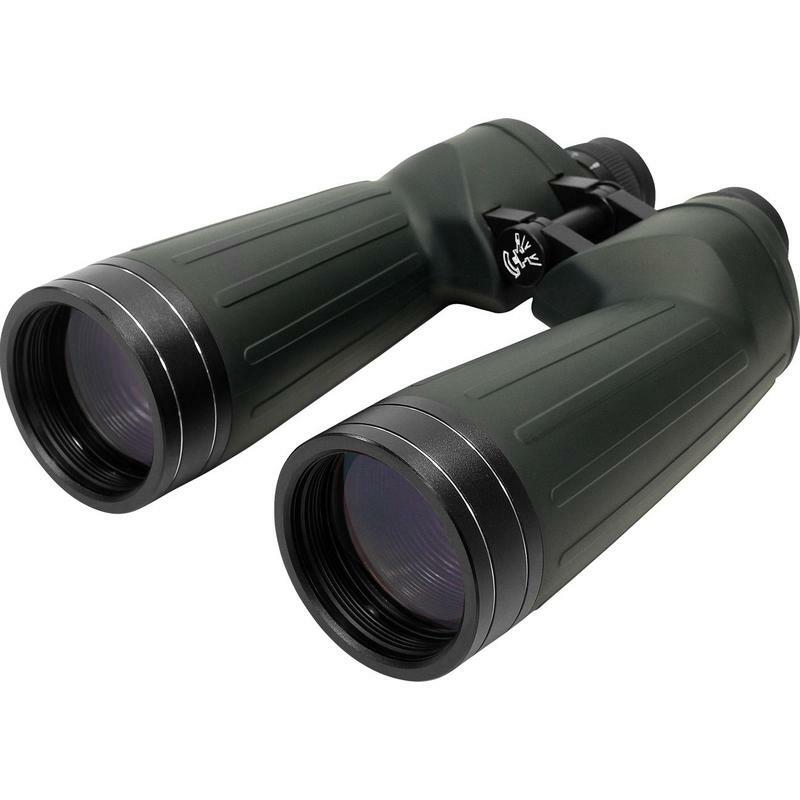 Grab yourself a pair of these attractively priced binoculars from the series and benefit from our generous discount. Now take a look at our Omegon binoculars section. After this offer expires, normal prices will apply once more. This offer is valid until 31 May 2019. Imagine a solar telescope that is just as manageable as a pair of binoculars, or a pair of binoculars that can be used to observe the sun as safely as if using a regular solar telescope. The SUNocular 8×32 from Lunt is precisely that. This unusual instrument for observing the sun is currently available at a special price of 98 euros. You will get 121 euros off the recommended retail price! The SUNocular 8×32 features a permanently installed lens filter with a neutral density of 5, as is typical for sun filters designed for visual observation and allowing you to safely look at the sun. Since the filter is permanently installed, the SUNocular 8×32 is not suitable for use as binoculars for terrestrial observations. In order to ensure that there is no confusion on this point, we have classified this product under the Solar Telescope rubric for the sake of simplicity. The SUNocular 8×32 allows you to see the photosphere of the sun. This layer, approximately 500 kilometres thick, creates almost all of the sun’s radiation in the visual spectral range. The photosphere shows sun spots with an eleven-year activity cycle. We are currently between two cycles, and for this reason there are very few spots to be seen. But that will soon change, and this instrument allows you to be very well prepared when the change comes. You can observe, at any time and from any location, new sun spots appear as well as their day-to-day development. The SUNocular 8×32 has all the typical features of a pair of binoculars of this size: central focus, dioptre balance, extremely rotatable eyepieces, carry strap and a very sturdy bag. Furthermore, the rubberised housing provides excellent grip! By the way… The SUNocular 8×32 is also suitable for observing planets as they cross in front of the sun (transits) and for watching solar eclipses! 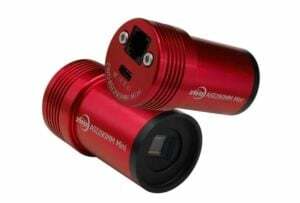 Sale: ZWO ASI cameras for a special price until the end of the year! For Christmas, there are lots of discounts on the extremely sought-after ZWO ASI cameras. The ideal present for demanding astrophotographers! Hunt around for your dream camera! Especially interesting: The ASI 071 MC Pro! Save €291. With a large APS-C sensor, this camera is perfect if you want to switch from a DSLR camera without have to fiddle with smaller chips. With the ASI 1600 MM Pro you can also save 10%. If you’re looking for a highly sensitive mono-camera that is perfectly suited to the combination with L-RGB or line filter sets, you’ve found your Christmas present! ASI 290 Mini, the perfect autoguider, is also 15% cheaper! Strike now if you want longer flash times without guiding errors. Of course, there are also many other models in the offer. The campaign ends on 31 December 2018, so don’t miss the opportunity. Merry Christmas from ZWO! Enjoy the beauty of a Winter’s day – with Terra ED binoculars by ZEISS, every walk in nature becomes an experience. Seize the opportunity now! Between 19th of November 2018 up to and including 6th of January 2019, after valid on-line registration and a purchase, you’ll receive €50 on your account! Look now for your ZEISS Terra ED binoculars – note: only while supplies last. Get €50 cash back within a few weeks! 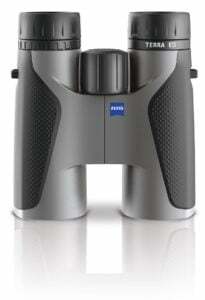 ZEISS Terra ED binoculars will uniquely enhance the beauty of your Winter moment. Modern design as well as brilliant, sharp images makes these binoculars your perfect companion, when you’re on the road. Whether for yourself or as a special present to place under the Christmas tree – make giving double the fun! The full participation conditions for the ZEISS Winter Weeks can be found at zeiss.com/photo/winterweeks. We wish you an enchanting Winter season! 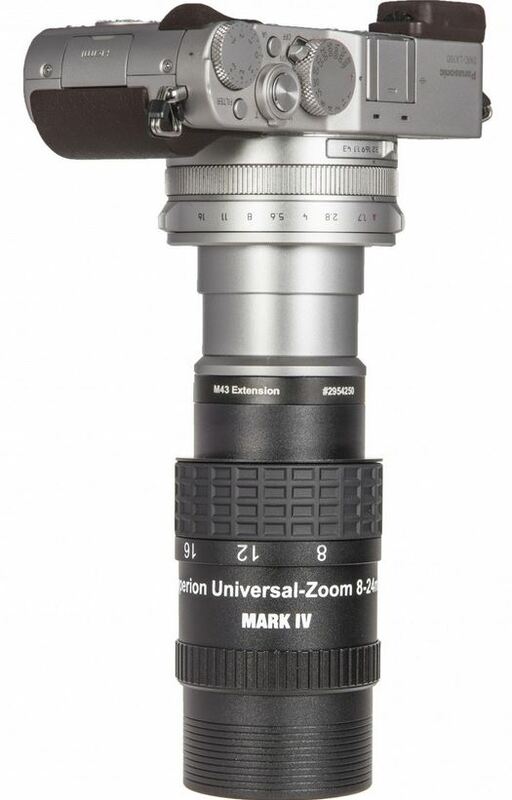 SALE: The Hyperion Universal Mark IV zoom eyepiece at a special price! A zoom eyepiece is really practical: It combines several focal lengths that can be adjusted simply by rotating the body. So, you don’t need a whole eyepiece set, and don’t have to switch them out if you want to increase magnification. Unfortunately, zoom eyepieces do not attain the edge sharpness and field of vision of a fixed focal length lens. With the Hyperion Universal Mark IV zoom eyepiece by Baader Planetarium it’s a different matter! This tried and tested zoom eyepiece has been improved even further, and offers, for magnification factors with 24 to 8 mm focal lengths, a very good image and at the greatest magnification factor, a field of view of 68°. Unlike other zoom eyepieces, the field of view is not narrowed at greater magnification! 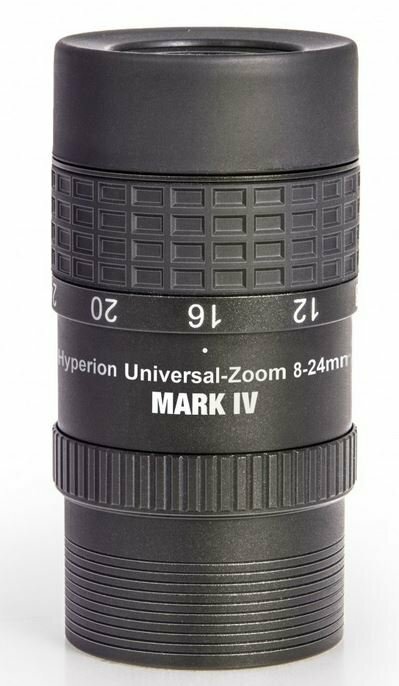 You can now purchase the Hyperion Universal Mark IV for just 220 euros. You save € 25 on the recommended retail price! In the set with the 2.25x Barlow lens you can now even save 27 euros! The word universal in the name of the Hyperion Universal Mark IV aims to offer almost unlimited uses: Use the zoom eyepiece visually with a long focal length Dobson telescope to view the planets and planetary nebulae, or with a Bino viewer or with a spotting scope for bird and nature watching. Many adapters are available for the wide range of uses of the Hyperion Universal Mark IV. By the way: Until the end of January 2019, you can purchase Hyperion series eyepieces at a special price! Special Offer: A Lunt H-alpha solar telescope at a special price! The LS50THa / B400PT solar telescope from Lunt Solar Systems allows safe solar observation in H-alpha-light. This wavelength allows you to observe prominences, filaments and other exciting phenomena in the sun’s atmosphere. We are currently offering the LS50THa / B400PT for only 999 Euros! Saving you 326 Euros when compared to the previous price! Its 50mm aperture and 350mm focal length make it particularly compact and allow it to be used on a camera tripod. The H-alpha filter only passes light at a focal length of 656 nanometres, with a peak width at half-height of less than 0.75 angstroms. B400 stands for the value of the cutting filter, which is located behind the H-alpha filter and reduces the intensity of sunlight. B400 means that it has a band pass of 4 millimeters. PT stands for Pressure Tuning: The Fine-Tuning of the H-Alpha Etalon Filter is achieved via variation in air pressure. This ensures a particularly homogeneous image field. The telescope is equipped with a helical focuser. But you can also purchase a matching and very high-quality Feather Touch focuser at a special price! Another possible improvement is a reduction in the peak width at half height of the telescope. You can add a second H-alpha filter to the telescope. The matching LS50C module is also greatly reduced in price! This process, called ‘double stacking’ increases the contrast of the structures seen in H-alpha light. 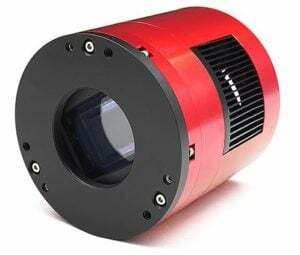 But it is not only the LS50ThA / B400PT which is available at a reduced price, but also the special eyepieces for it, which are optimized for H-alpha light. These eyepieces are available as a complete set or individually – with a saving of 47 Euros per eyepiece! And of course you can also use these eyepieces on any other telescope with H-alpha filters. The offer is valid until 31.12.2018 and only while stocks last. Grab yours now! 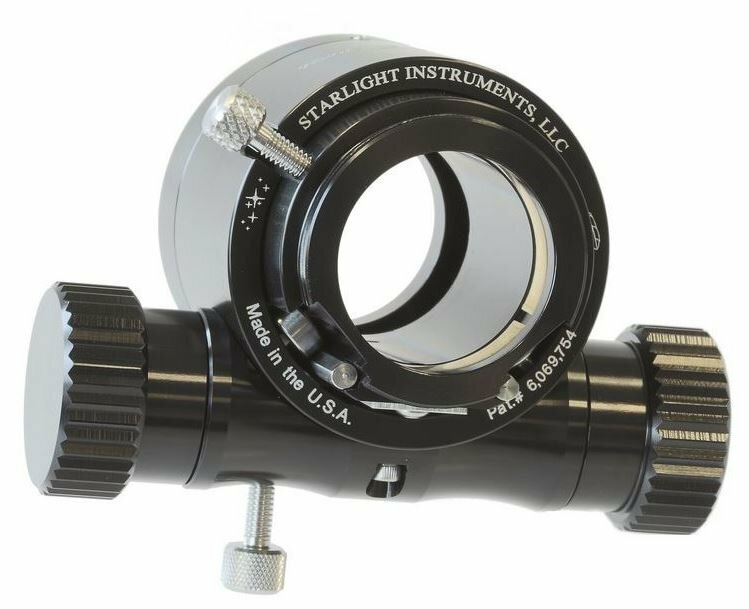 TeleVue DeLite series eyepieces at a specially reduced price! We are offering you these TeleVue DeLite eyepieces for a special price up until the 7th of December! You can purchase these eyepieces for just 239 euros. Saving you 65 euros on their normal price! The DeLite Series eyepieces has been developed by TeleVue as a lighter weight, more compact and, above all, lower-cost alternative to the popular Delos eyepieces. DeLite eyepieces are in no way inferior in optical quality to the Delos series, only the field of view is slightly narrower – at 62°. 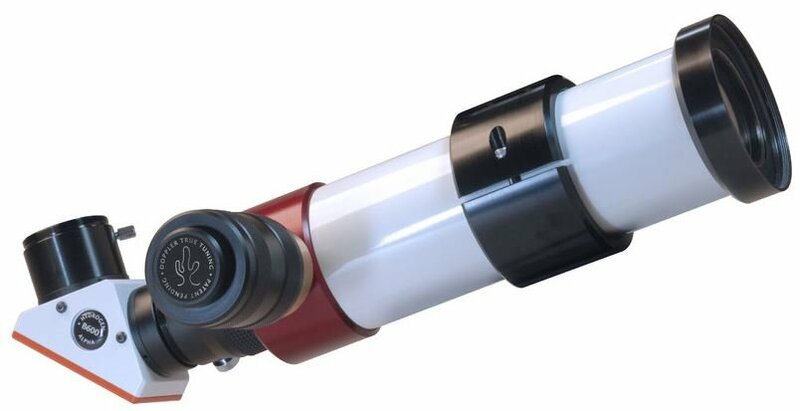 The lower price allows more astronomical observers to enjoy the unique TeleVue eyepiece experience. 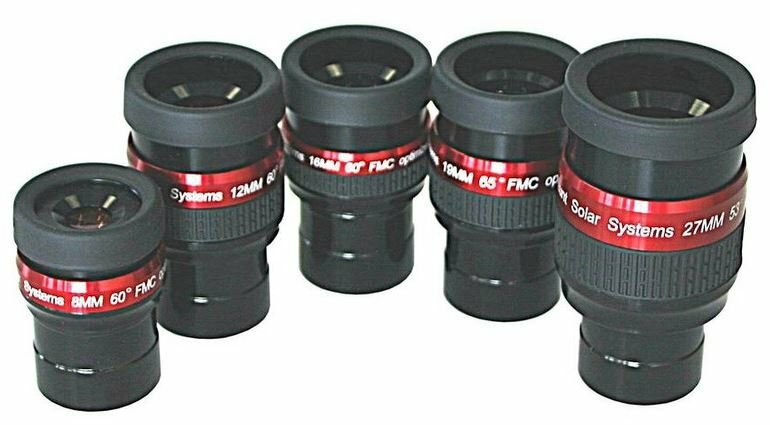 A more detailed description of the eyepieces in the series and the ordering options for them can be found under the link TeleVue DeLite eyepieces. Please note that the special offer is only valid until December 7th. Get yours now!